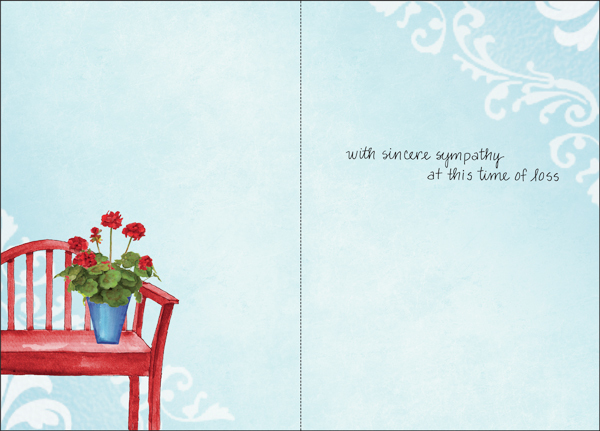 Send your condolences of a loss with a sympathy card from it takes two. 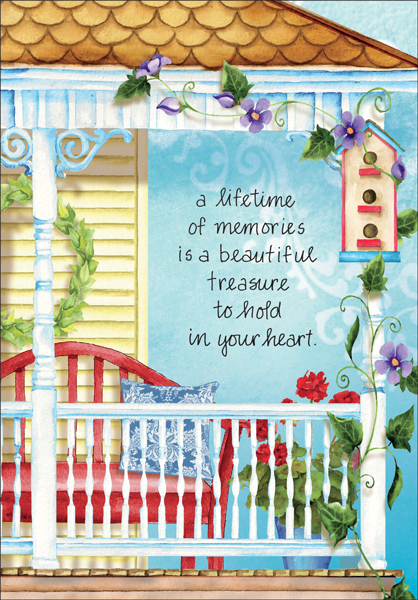 This beautiful card features a porch design and comforting message. Order online today from it takes two. Front: a lifetime of memories is a beautiful treasure to hold in your heart.